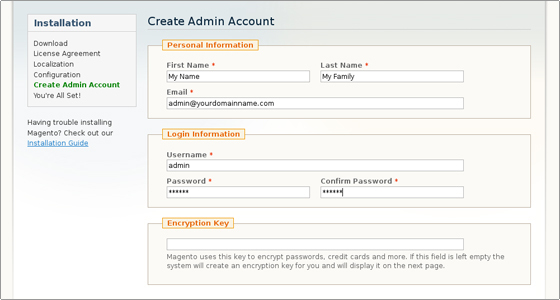 Step 1 The first thing you need to do to install Magento manually is to download the latest installation package from the official Magento website. Step 2 Next, you must upload the installation package on your hosting account through your cPanel -> File Manager or using an FTP client. 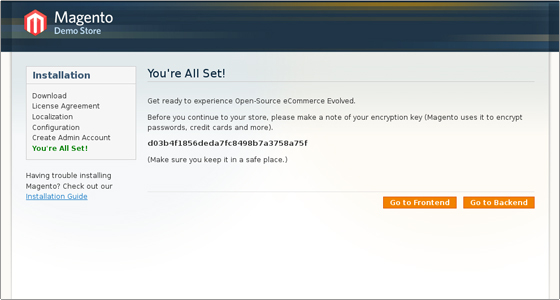 In case you want the Magento installation to be primary for your domain (i.e. to run from http://yoursite.com), you need to extract the content of the installation package in the public_html folder. On the other hand, if you want it to be in a subfolder like http://yoursite.com/store/ you need to extract the content to public_html/store/. 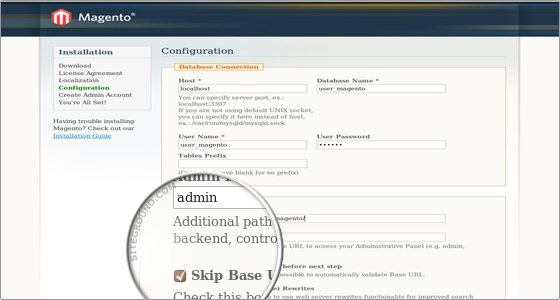 Step 3 Create a MySQL database and assign a user to it through cPanel -> MySQL Databases. Remember the database details, since you will need them during the script installation. Click on the check box next to "I agree to the above terms and conditions" and click on the Continue button. 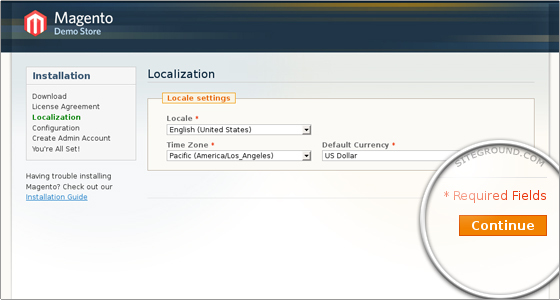 Now, choose the preferred Time Zone, Locale and Currency and press the Continue button.